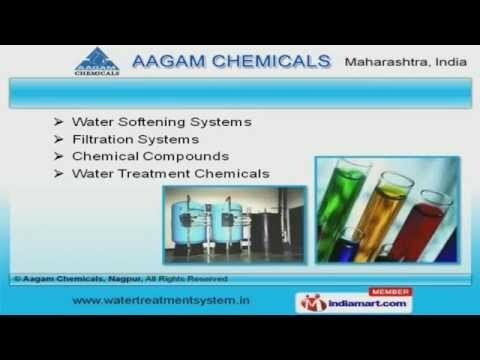 Welcome to Aagam Chemicals, Manufacturer and Service Provider of Filtration Systems. The company was established in 1990 at Nagpur. We are in association with Kambhoj Ispat Private Limited and Omco Industries Private Limited. Commercial Explor Industries and Shree Stea Casting are some of our prestigious clients and we are backed by excellent after sales services and expedite delivery schedules. We offer a wide array of Water Treatment, Zero Waste Water Plants and Reverse Osmosis Systems. Our Water Softening Systems, Chemical Compounds and Filtration Systems are widely acclaimed in the market. Water Treatment Pumps, Turnkey Projects and Water Treatment Plant Maintenance Services are highly efficient. We also provide Water Handling Solutions, ETP and Deioniser Plants that are a class apart. Our Reverse Osmosis, Mobile Filtration and Seawater Desalination Plants are available at industry leading prices. Industrial Demineralizers for Power Plants and Demineralisation Systems for Laboratories are superior in performance.